Bull Kelp Nereocystis luetkeana is an eastern pacific species that can grow in 40 meter deep water. The stipe can be up to 36 meters long and attaches to rocks with a holdfast. It has narrow ribbon-like blades attached directly to the float bladders. We have two standard size models. The standard large Bull Kelp has a 6 ft (180 cm) stipe with a 4″ (10cm) diameter bladder and 24 blades which are 24″ – 72″ long. 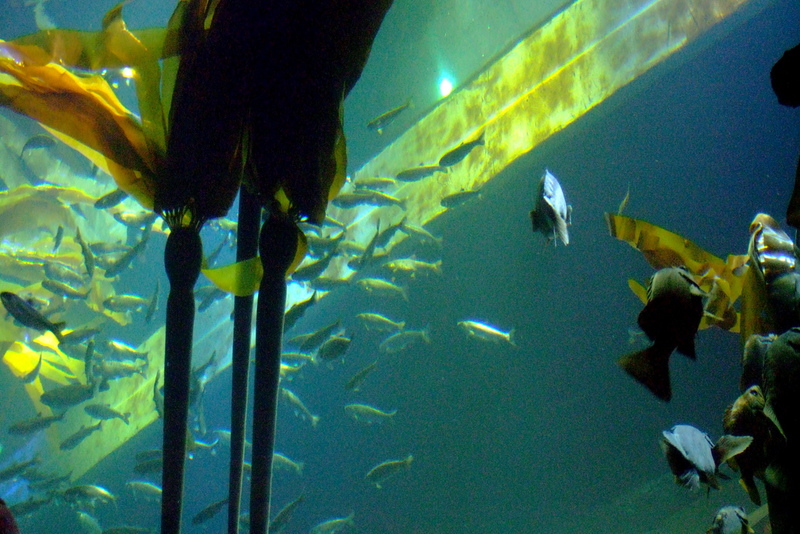 The standard small Bull Kelp has a 5 ft (150 cm) stipe with a 2″ (5 cm) diameter bladder and 12 blades which are 20″ – 22″ long. 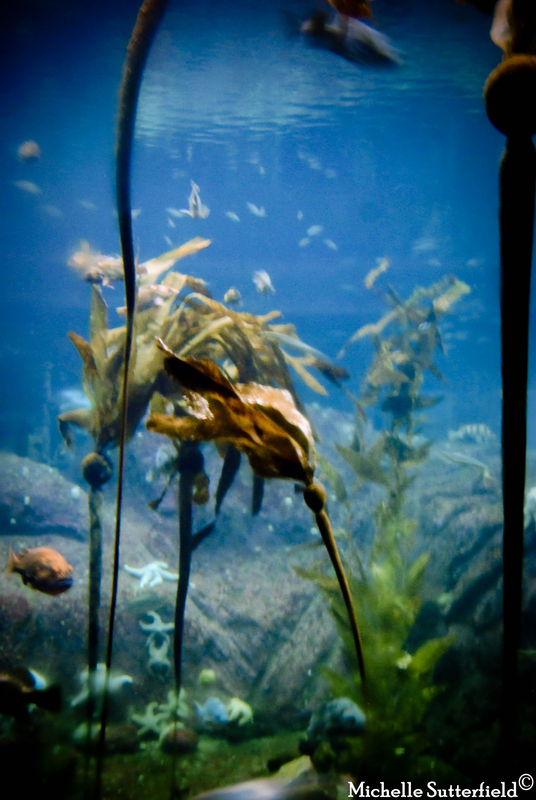 A threaded anchor and holdfast is included in both small and large Bull Kelp plants. Additional sizes are also available. 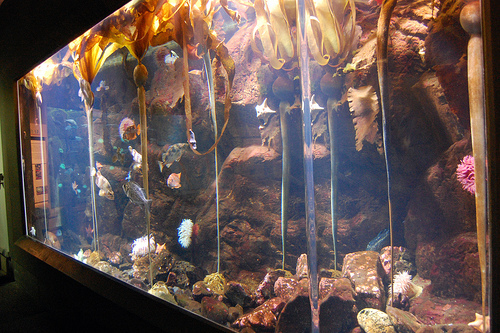 Bull Kelps at Point Defiance Zoo and Aquarium in Tacoma, Washington.